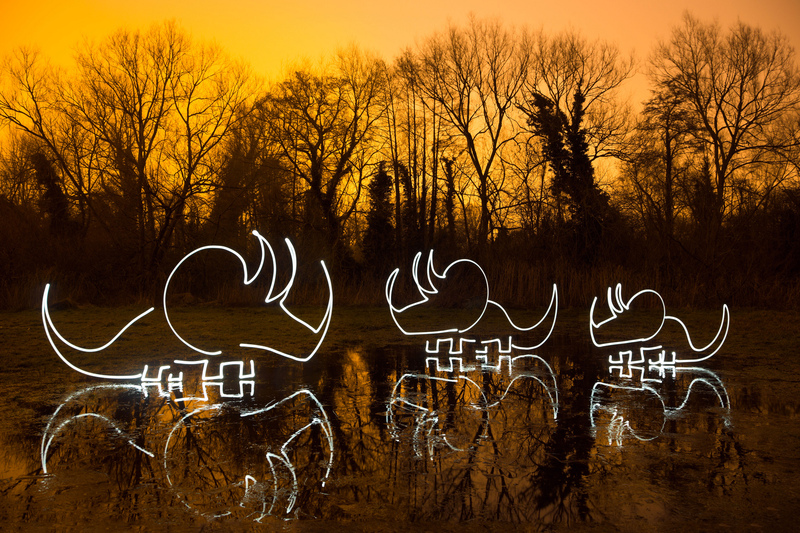 Quick light painting to exploit the flooding at Rickmansworth Aquadrome. The orange is from sodium vapour light pollution, infused in a light pall of drizzle and mist. There’s one corrected line here (about 4mm, where the body of the mother triceratops meets the crest), but otherwise everything is drawn in camera using a LED with a sock as a diffuser. The streaks in the pool are from broken ice. Those crystaline shimmers, along with the colour and veins of black, just puts me in mind of insects trapped in fossilised amber. Hope everyone is having a fantastic start to the week.